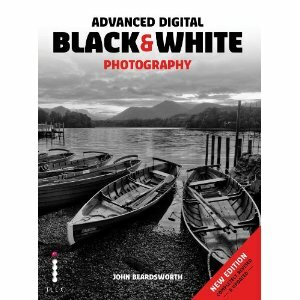 Rather like expectant parents holding in their hands the ultrascan of their new baby and showing off the little snap to anyone prepared to humour them, I thought I’d show the cover of the 2nd edition of my Advanced Digital B&W Photography. While I completed the rewrite before Christmas and have already seen the proposed cover, it was only this morning that I wanted to see when it would be delivered. It looks like it’s May in the UK and US and afterwards in a number of translations. Most of the new content is Lightroom. Of course, if you do ever want to experiment with your pictures you can always hit V in Lightroom and it will show them in colour. Thankfully hitting V (or Undo) will make them look right again. Why bother with colour?